We had a hot summer, but it is definitely safe to say that the summer heat has left us behind at this point. 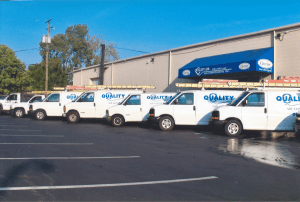 Before long, your heater in Columbus, OH is going to be going full speed ahead, and you need to know that it will do so reliably. Of course, you also want to ensure that it is going to do so efficiently, so that you aren’t stuck with very high heating bills at the end of the month. We’ve got a few tips that will help you to heat your home more efficiently this winter. Of course, if you have a very old system that is not capable of efficient heating by today’s standards, we are happy to replace that system for you. If you are looking to boost efficiency with the system already in place, though, read on and remember to schedule your heating services with us. Schedule routine heating maintenance. If you’ve read this blog before, this bit of advice could not have come as a surprise. Allowing a trained professional to tune up your heating system is, without a doubt, the best way in which for you to keep your heater working in an efficient manner. Keep your air filter clean. Annual maintenance is a must, but you cannot only have a new air filter put in your furnace or heat pump system once a year. Dirty filters increase airflow resistance and can lead to other problems. If you use a forced air heating system, a clean air filter is a valuable ally. Upgrade your thermostat. While small in stature, your thermostat plays a huge role in the performance of your heating system. Upgrading your thermostat to a programmable or smart model can help you to take greater control over the way you use energy when heating your home. Let Quality Air Heating and Air Conditioning help you to get the most from your home heating system.